The longtime homebuilder received Silver Nuggets in the category of Design and Architecture for Strada Plan One, Nova Ridge Plan Two and Axis Wall. Nova Ridge Plan Two and Axis Wall also earned top honors as the best single-family homes in their categories. In addition, the Axis model complex was recognized with Best Model Complex presentation. Pardee’s Jeff Ehrensaft was named Customer Service Representative of the Year, and Jeffrey Cooper was named Construction Superintendent of the Year. Rocky Cochran, who recently retired as vice president of construction, received a Lifetime Achievement Award from the SNHBA. 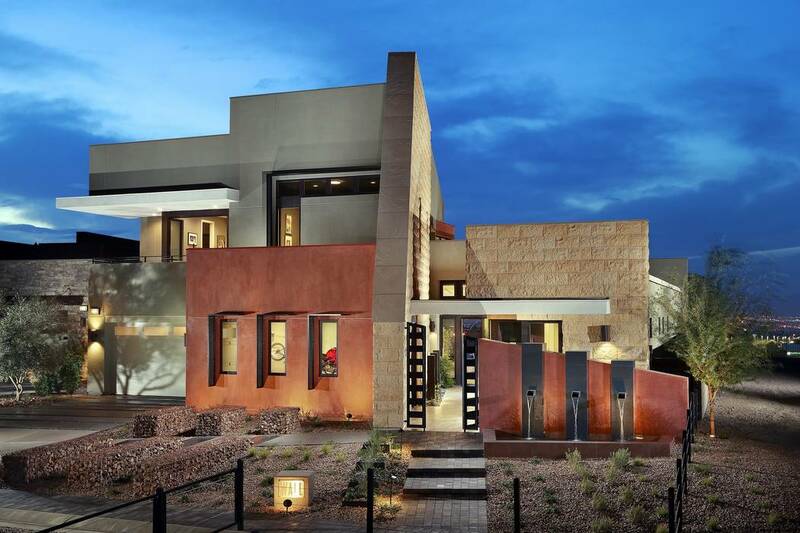 “Pardee Homes is proud to have leading-edge, modern home designs and excellent people, and these Silver Nugget Awards are a reflection of our commitment to both,” said Las Vegas Division President Klif Andrews. The design of Strada Plan One is influenced by Pardee Homes’ award-winning Farmhouse Millennial Home that celebrates the active, hip ambiance of the surrounding Inspirada community, excelling in a spacious 2,493-square-foot design that embodies a youthful energy through sleek, angular architecture and near perfection of indoor/outdoor living spaces. Pardee Homes’ Nova Ridge in The Cliffs Village in Summerlin features luxury, modern designs in a gated, elevated community. The Plan Two offers a bright, bold design in 3,263 square feet with four bedrooms and 3½ baths. The ultra-modern Axis Wall production home is named for the angled architectural wall that dramatically divides the 4,460-square-foot home into two separate living areas — a two-story, private family domain on one side and a single-story guest and flexible living section on the other. All three winning homes feature beautiful interiors by celebrity designer Bobby Berk. Built into a Henderson hillside, Axis takes modern living to the next level with spectacular views from community vistas to private outdoor living areas. The model complex features a midcentury modern style, 1,200-square-foot sales center with large sloping roof and vaulted ceilings, integrated into the Axis design approach where sleek, high-end living meets the natural beauty of the Las Vegas Valley. Pardee customer service representative Jeff Ehrensaft and construction superintendent Jeffrey Cooper held near perfect customer satisfaction ratings in 2017 in a high-volume neighborhood, a testament to their industry depth and customer-focused personalities. Rounding out the awards was a special presentation to Rocky Cochran. Formerly vice president of construction, Cochran retired from Pardee Homes in April after a distinguished career that spanned nearly three decades. SNHBA Executive Director Nat Hodgson shared a special recognition from Nevada Gov. Brian Sandoval at the event in recognition of Cochran’s years of service to the construction industry in Clark County and statewide. For information about Pardee Home neighborhoods in the Las Vegas area, call 702-930-8237 or visit pardeehomes.com. Follow Pardee on Facebook at facebook.com/PardeeHomesLasVegas. New Home Gallery hours are 10 a.m. to 6 p.m. Tuesday through Sunday and noon to 6 p.m. Monday. Pardee Homes Las Vegas builds new homes and communities for first-time through luxury homebuyers. Established in 1921, Pardee Homes was among the first to embrace master-planned community concepts, green homebuilding measures, environmentally sensitive development practices and customer-focused processes for new home purchases. Pardee Homes Las Vegas has built more than 40,000 homes throughout Southern Nevada in the last 65 years and is a member of TRI Pointe Group, a family of premium regional homebuilders.